Cogeneration Plants from 5 kW. up to 4,300 kW. 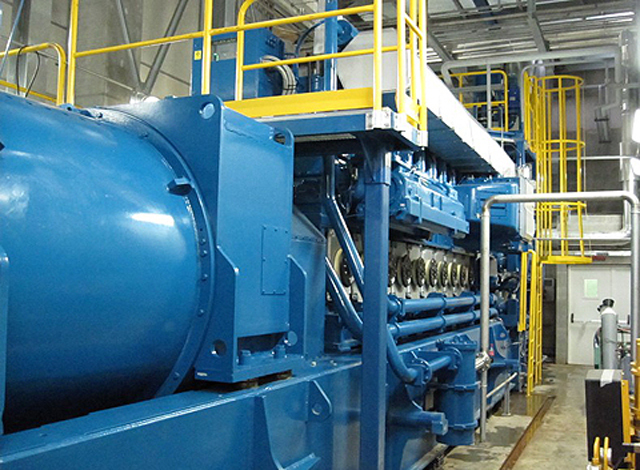 Cogeneration saves energy through the combined production of heat and electricity. Opposite to other energetic process where we just obtain electric energy, with this system we also exploit value energies as the resulting water vapor. High efficiency cogeneration from 5 kW to 4,300 kW. Our proposed technology provides optimal solutions to exploit the available energy in the fuel; natural gas, biogas, LPG or oil. Cogeneration systems use waste heat accrued during an engines operation to generate overall plant efficiencies of more than 90 percent. This efficient and economical method of energy conversion achieves primary energy savings of roughly 40 percent by using a gas engine cogeneration system instead of separate power and heat generation equipment. Transportation and distribution losses also are reduced or eliminated as the decentralized energy supply is aligned where it is needed. We offer cogeneration plants for greenhouse, industrial, biogas, tertiary, hotel, hospital, airport and other sectors.